The Summit is our generous three-bedroom two-bathroom floorplan that features the largest living space within the community. Perfect for entertaining, this open floor plan offers an easily accessible bathroom, inviting kitchen, and separate dining room. 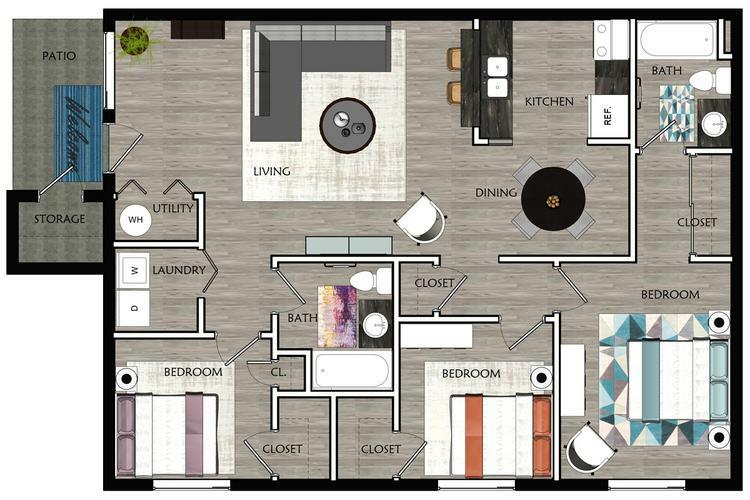 With accommodating bedrooms, abundant closet space, and exterior storage, this 3 bedroom apartment in Peoria, IL is sure to impress.